“The five most prevalent alternative or complementary approaches are diet and nutrition (88.3%), acupuncture (86.7%), herbal medicine (81.7%), massage (78.3%), and homeopathy (73.3%).” (Global Advances in Health and Medicine (2013). This acupuncture point is the thirty-fourth point on the Gallbladder meridian which travels from the face down through the body and along the outside of the leg. GB-34 is located just below the knee on the outside of the leg. Acupuncture of this point would consist of using a very fine needle inserted into this point. An acupuncturist might choose this point to work on restoring gallbladder health or eliminating a symptom of gallbladder dysfunction, which can range from digestive issues to leg pain. “Use of acupuncture to treat multiple sclerosis (MS) is fairly common. A literature search resulted in twelve peer-reviewed articles on the subject that examined the use of acupuncture to treat MS related quality of life, fatigue, spasticity, and pain. 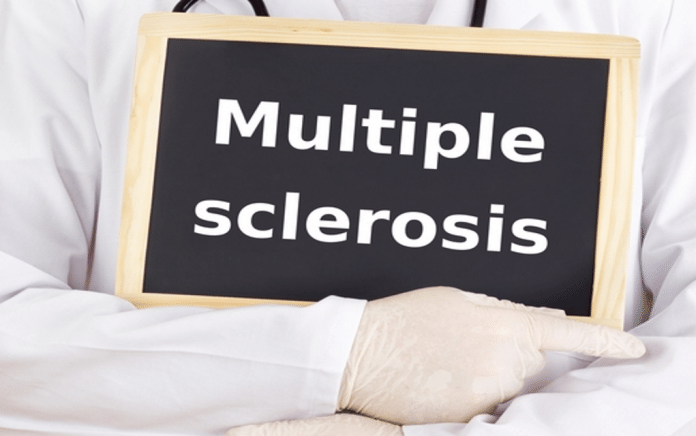 Although many of the studies suggested that acupuncture was successful in improving MS related symptoms, lack of statistical rigor and poor study design make it difficult to draw any conclusions about the true effectiveness of this intervention in the MS population. Further studies with more rigorous designs and analysis are needed before accurate claims can be made as to the effectiveness of acupuncture in this population.” (Evidence-Based Complementary and Alternative Medicine, 2014). This Governing vessel point is located in the lower back area on the spine just below where the last rib (rib 12) attaches to the spinal column. One exercise to stimulate the governing vessel and the corresponding conception vessel is to place the tip of your tongue on the gums inside the mouth above the upper teeth. The governing vessel travels from the upper teeth along the midline of the body over the head and down the spine. In the pelvic area the energy flows from the governing vessel into the conception vessel and travels up the midline of the belly, chest and face to the tongue. The following article, “An experimental electro-acupuncture study in treatment of the rat demyelinated spinal cord injury induced by ethidium bromide,” noted the benefit of two governing vessel points in stimulating the immune system and may even help remyelinate the spinal cord. Myelin is a fatty layer around the spinal cord which helps the nerve signals to travel more efficiently. In people with multiple sclerosis often there is a loss of this myelin sheath leading to issues with balance, fatigue, and movement. Electro-acupuncture stimulation was performed at two acupoints in governor vessel: Jizhong (GV6) and Zhiyang (GV9). Electro-acupuncture treatment can promote Neurotrophin-3 expression, increase of the cell number and differentiation of endogenous OPCs and remyelination in the demyelinated spinal cord as well as the functional improvement of demyelinated spinal cord. (Neuroscience Research, 2011). “Regular acupuncture treatment has been found to have a positive therapeutic effect on the recovery of movement and reducing abnormal sensations of the hands, fingers, feet, and toes. Commonly used points are GB-34, LI-3, KI-3, Ba Feng (Extra Point) for lower limbs at LI-11, LI-4, TE-5, and Ba Xie (Extra Point) for upper-limb work.” (Blue Poppy Press, 2007). “Chinese scalp acupuncture integrates traditional Chinese needling methods with Western medical knowledge of the cerebral cortex and has been proven to be a very effective technique for treating multiple sclerosis and other central nervous system disorders. It can not only relieve symptoms, increase the patient’s quality of life, and slow and reverse the progression of physical disability but also reduce the number of relapses and help patients with multiple sclerosis to remain in remission.” (Global Advances in Health and Medicine, 2013). This gallbladder point is located in the back of the head on either side of the spine at the level of the upper ears. Ways to stimulate this point include electro-acupuncture, heat, or light. Some complementary medicine practitioners use colored light from a device that looks a bit like a flashlight to stimulate acupuncture points. A cold infrared laser and colored light can also be used. Each of the five paired meridians have a color associated with them. Green is the color associated with the liver and the gallbladder meridians. Another way to balance the energy in these two meridians is to notice what is green around you. As you walk or drive, notice all the things that are green: cars, trees, bushes, clothing, signs, etc. An article from 1999 notes the benefits of colored light therapy, colorpuncture (use of colored light without needles on acupuncture points) and chromo-pressure (pressure and color on the points). “Light therapy has a long history, dating from ancient Egypt to the contemporary treatment of seasonal affective disorder. In the early half of this century, Dinshah Ghadiali, MD PhD, refined a sophisticated system of color therapy. Influenced by a strong background in mathematics and physics, he determined specific “attributes” of the colors of the spectrum, i.e., their specific effects on human physiology. Of particular note is recent Russian research which has shown that light is conducted within the body along the acupuncture meridians leading the authors to ponder: Do acupuncture meridians function as a light (photon) transfer system within the body, not unlike optical fiber?” (American Journal of Acupuncture, 1999). So, for relief from fatigue, muscle weakness, pain and other symptoms of multiple sclerosis try rubbing acupuncture points, visualizing colors, touching the tip of your tongue to the roof of your mouth, or see an acupuncturist.